For the last few weeks, we have been telling you about the upcoming Easter Egg Hunt from our perspective. But, what’s even more interesting is hearing firsthand about the day from last year’s volunteers. Volunteering at the Easter Egg Hunt last year was one of the highlights of my entire year. I dressed up as one of the Easter bunnies to allow for photo opportunities with children and their parents. 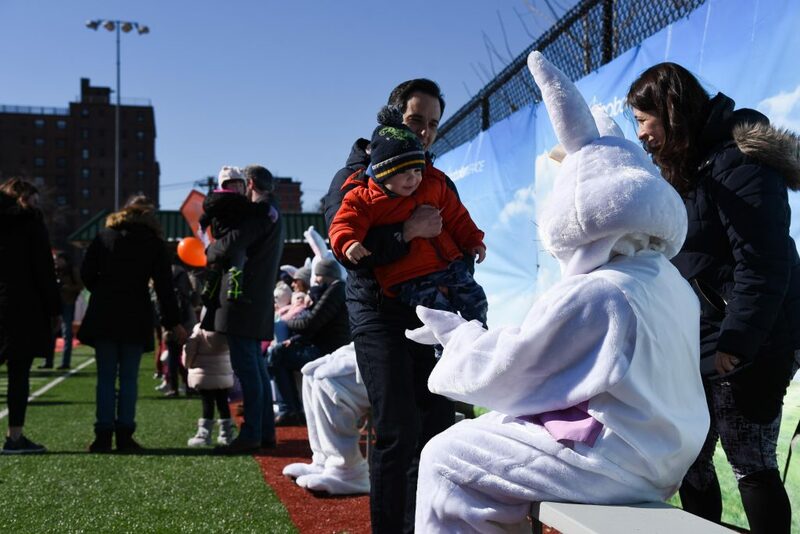 It was a humbling experience for myself and the other Easter bunnies – we couldn’t talk and barely moved for several hours at a time – yet we were able to bring a smile to the faces of many families. Whether it’s volunteering in this capacity or another aspect of the Hunt, there’s perhaps no other event that we’re able to serve the community to the same volume and scale of the Hunt. It’s an incredibly rewarding experience. It was awesome being able to see the smiles on the kids’ faces! Seeing their joy and knowing that I was able to play a small part in making that possible was so rewarding! I love interacting with the kids, and I love seeing their ecstatic faces when I (attempt) to draw something on their faces that they love. It is always a very simple design or picture, and sometimes it doesn’t look very good, but the smile it always brings to their faces lights up the rest of my weekend! I’ve volunteered to help at the Easter Egg Hunt several times. I always sign up to help with setting up the hunt. I love watching the transformation from a field and a plan on a piece of paper to an amazing event in a couple hours. The planning and teamwork are amazing. 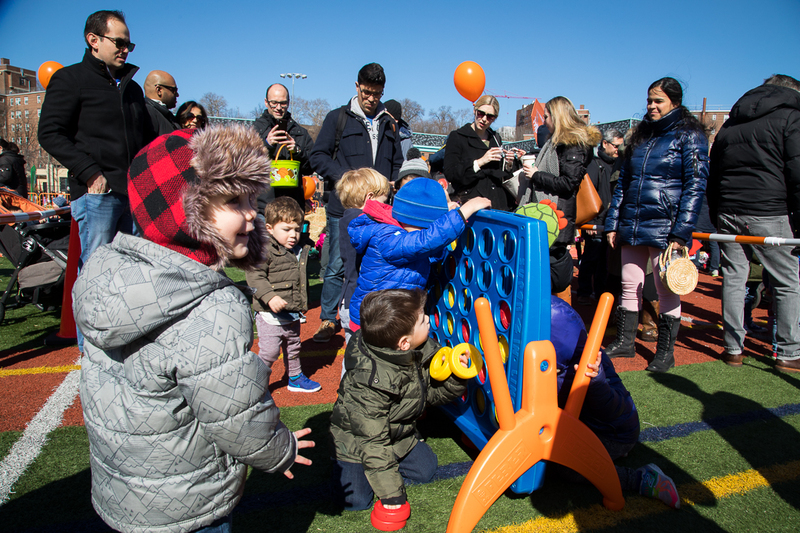 Then the best part is watching the kids and families thoroughly enjoy the event. The Hunt is one of my family’s favorite events of the year! The kids love it for all the fun, excitement and candy, but I personally love being able to serve and love so many people in our community and to see all the joy it brings to so many families! Last year I volunteered as one of the bunnies. It was definitely something new for me, as I flopped around and had about a hundred little kids posing for pictures with me! I actually enjoyed the mix of emotions that a huge bunny rabbit sparked in these kids! The Easter Egg Hunt is by far my favorite event to volunteer for. It’s amazing to see everyone come together to transform the field into the Hunt and once the families and kids arrive, it is high energy until the very end. 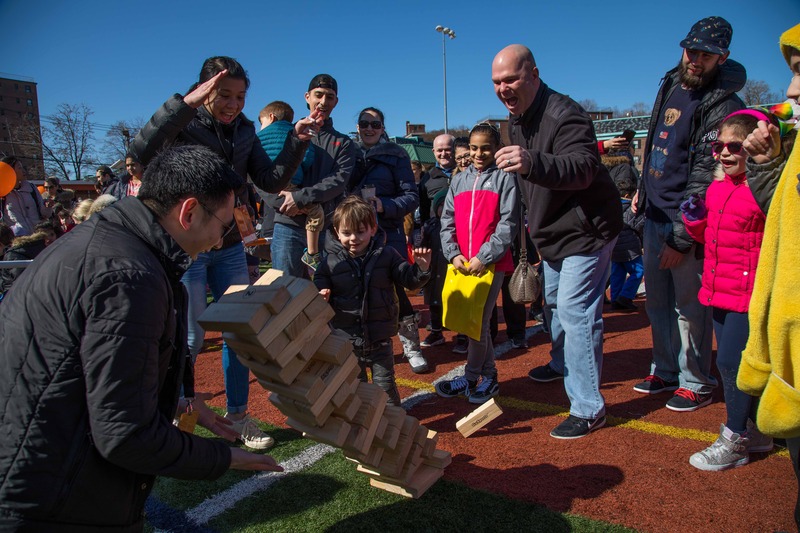 It’s a great way to serve the community and the extra bonus is seeing how much fun the kids have! We hope these quotes inspired you to sign up and to also invite your friends or co-workers. This is an awesome opportunity to invite people to be part of something significant!